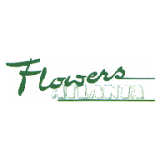 Flowers Atlanta serves Atlanta, GA and is located in the 30305-3445 ZIP code. Whenever my boss needed to order a flower basket or just a greenery plant. She would always call flowers Atlanta. They make very beautiful arrangements and are very reasonable.